This is a complete set of Gray Cook’s recorded audio lectures, collected and reformatted into an audio OR edited transcript ebook. If you would like to order BOTH formats, put both items in your shopping cart. A 10% discount will automatically be applied. This is only available in digital download as either an audio book OR an ebook. If you would like to order BOTH formats, put both items in your shopping cart. A 10% discount will automatically be applied. Nothing will be shipped. There’s no print book option. This is a complete set of Gray Cook’s recorded live lectures, collected and reformatted into an audio book or ebook. You can toggle between audio book and ebook above. If you’ve ordered his OTP audio lectures before, you already have this material, although not in this format. 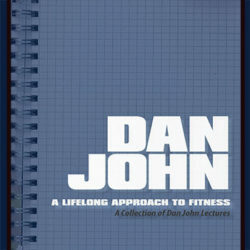 In this talk, Gray discusses the important points he made in the book Athletic Body in Balance, and follows that with what changes or additions he’d make if he were to re-write the book now, 10 years later. “What I want to do on the 10-year anniversary of Athletic Body in Balance is tell you what’s happened since I wrote the book, and if I were to re-write it today, what additions I would make. You might also wonder what deletions I might make. “Let’s first do a recap, starting with the title, Athletic Body in Balance. Every philosophy that stood the test of time preaches balance. Some preach it from a standpoint of moderation. Some preach it from a standpoint of perspective and are continually adjusting the different forces in the environment that are shaping and developing you each day. To this day, I go around the world preaching a red flag strategy. Anatomy and kinesiology are important and you need to know it well, but what comes next? Do you then understand the system that governs movement? In this lecture, physical therapist Gray describes the brain, muscle and joint input and output, and explains how all these come together to drive Movement Correctives. He then tells us how to identify the driver of poor movement quality, and how to balance correction with stress in order to improve movement quality as well as physical performance. Here’s where you can spend a half-hour with Gray as he develops his thinking about the mental aspect of discovering and working through movement issues. A different from his normal lectures, in this short session, Gray talks about professionalism…how we can think and behave in ways the reflect well toward our peers and our clients. “A mentorship is over whenever you decide you’re done, when your mentor leaves the room or if you break up the relationship, but that doesn’t mean you’ve completed a mentorship. That doesn’t mean you’ve ingested everything the mentor has to teach you. It just means that due to time or financial constraints, you’re no longer in the presence of this person, but you’re going to drop the mentor’s name in your future business dealings because you’ve been exposed to somebody who’s noteworthy. In this talk, Gray discusses the difference between schooling and education, and explains why we need to participate in both. What’s Behind A Mobility Problem? Listen in as Gray considers the various ways a mobility problem might begin, and some of the best ways to combat these problems, depending on the underlying cause. When Gray says he doesn’t let people deadlift if they can’t touch their toes, what’s the reason? Is it that big of a deal? Here we get to listen to him tell the story of the toe touch — why he cares, what he’s looking at and how he fixes it. Isolating Movement Patterns clarifies the difference between isolating a body part or a pattern. Gray then gives examples of how he uses that difference to work toward success. What’s the difference between bridging, activating the glute and half-kneeling work? Listen in as he explains. In this lecture, Gray explains the thinking behind the concept of self-limiting exercise, tells how the idea came to be, and gives examples you can immediately begin to use yourself or with your clients. This lecture on a modern physical therapy program was recorded live at the VCU School of Medicine Physical Therapy department, during which he outlined his hope for the future of physical therapy and strength and athletic training programs. When should we seek medical attention; when should we prescribe or practice corrective exercise? Do we have a checklist, or is there one on the horizon? Here Gray Cook explains the concept of resetting, reinforcing, then reloading, and tells us why it’s a mistake to get these in the wrong order. This talk will also give you an idea of the difference between the FMS and the SFMA, and how the same exercises can be used for different results depending on the situation. You’ve heard of reactive neuromuscular training, but do you really know what it means — How it was created and what is its purpose? Here Gray explains how RNT came to be used, and his thinking behind reactive neuromuscular training. In this two-hour session, Gray visits with the first- & second-year physical therapy students at Duke University to give them an impression of possible clinical experiences to come, and to answer their questions. “Do you think insurance is ever going to give physical therapist yearly musculoskeletal checkups for the general population? If you prove to insurance you’re going to save them money, they will gladly shell out for you to do physicals on people who aren’t in pain or aren’t complaining. The 2012 International Federation of Orthopaedic Manipulative Physical Therapists Conference was held in Quebec in October 2012. Gray was a keynote speaker. “In physical therapy when we’re dealing with people from birth to three years of age, we don’t obsess with a goniometer and a manual muscle test. We look at developmental milestones. As long as a child meets that window—as long as children are crawling, rolling and standing by a certain age— because they made the milestone, we don’t obsess on the minute details and impairments. They did it in their own ways, yet they still fit some degree of normalcy. Please click here if you would prefer the individual audio lectures in a discounted bundle price, or click the links above if you’d like to pick up single lectures. Chapter 6, What’s Behind a Mobility Problem? 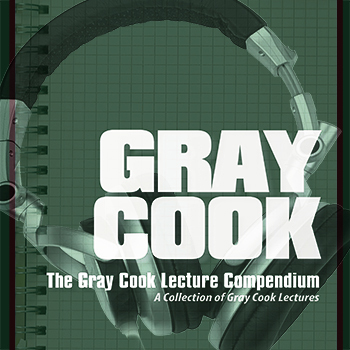 This Gray Cook lecture compendium provides a wealth of broad, comprehensive information and insight. The audio book is a 12-hour + 57-minute m4b audio book, and the download package includes the individual chapters as mp3 files if needed. 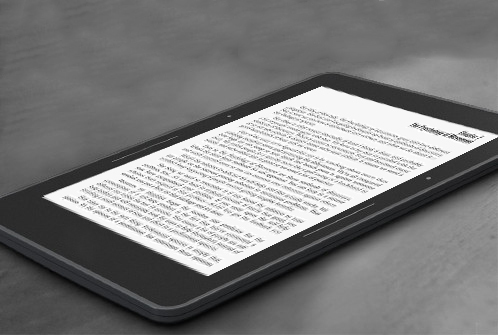 The ebook is a typeset 317-page PDF, plus the epub and kindle formats for e-readers. Both editions are digital downloads, available immediately after purchase via your downloads dashboard here on OTPbooks.com.